Polkadots on Parade: Mother's Day Printable! I don't know about you, but I love my mother. I appreciate with each passing year the insanity I brought upon my mother! Being a mother is not for the faint of heart, for sure! 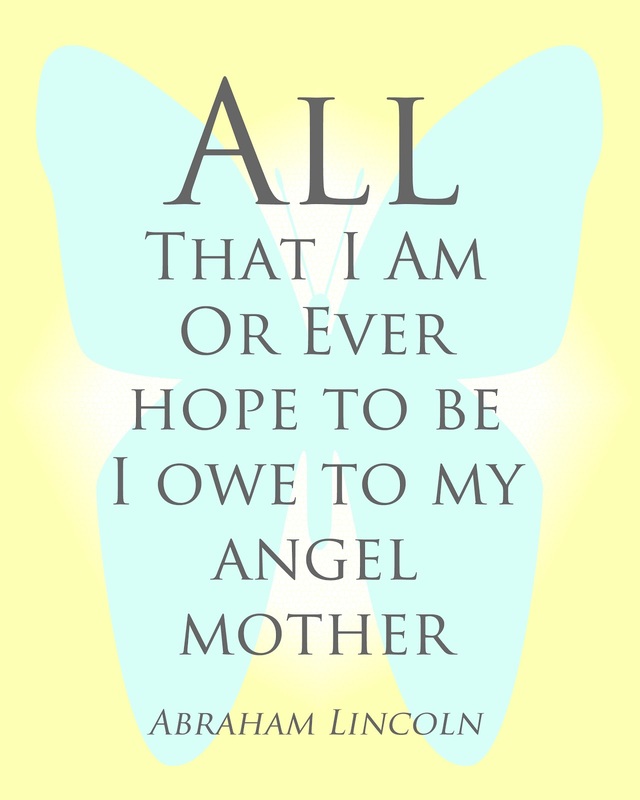 I have always loved this quote from Abraham Lincoln. No matter the distance and time that separates my mother and I, it is still true. Happy Mother's Day to all of you mothers, grandmothers, aunts, and all those who help me love, nurture, teach and raise my children! As always, these printables are FREE and print as an 8x10. Click HERE to download my printables! I also have always loved this quote! Beautiful!! I would like to invite you to share at my link party for Mother's Day gifts at http://craftymomsshare.blogspot.com/2012/05/mothers-day-gifts.html. Thank you! Happy Mother's Day!! That is so very pretty. Thank you so much for linking to Handmade Tuesdays. This is wonderful! I have to write this down.